I know, it’s been a while. After a busy few months filled with new projects at work, a vacation, and moving (which means a new kitchen!) I have sat down with Sunday morning coffee to share delicious Lemon Curd. I made this to fill vanilla cupcakes with (topped with blackberry buttercream icing). Tart and delicious, it would be great in poundcake with fresh fruit or on a scone (more blog ideas, I love scones). 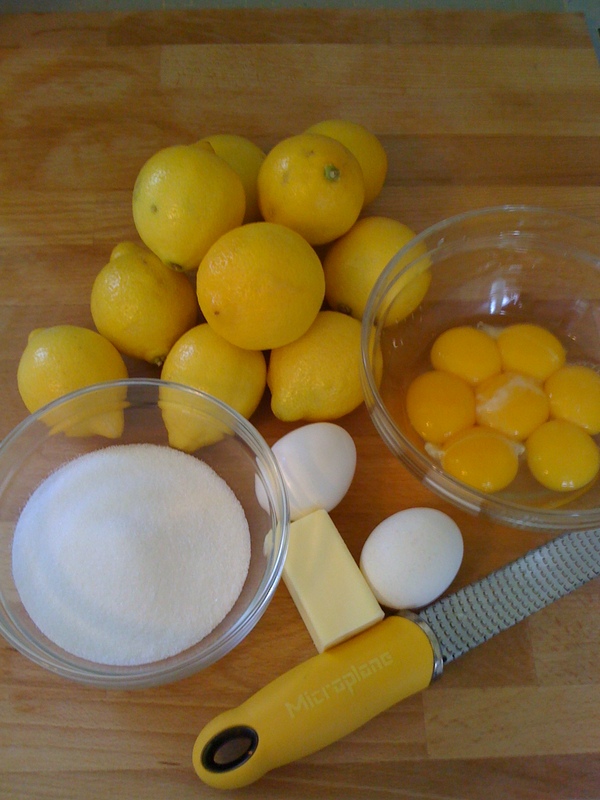 In a small bowl combine the lemon zest and lemon juice and allow the zest to soften, about 10 minutes. 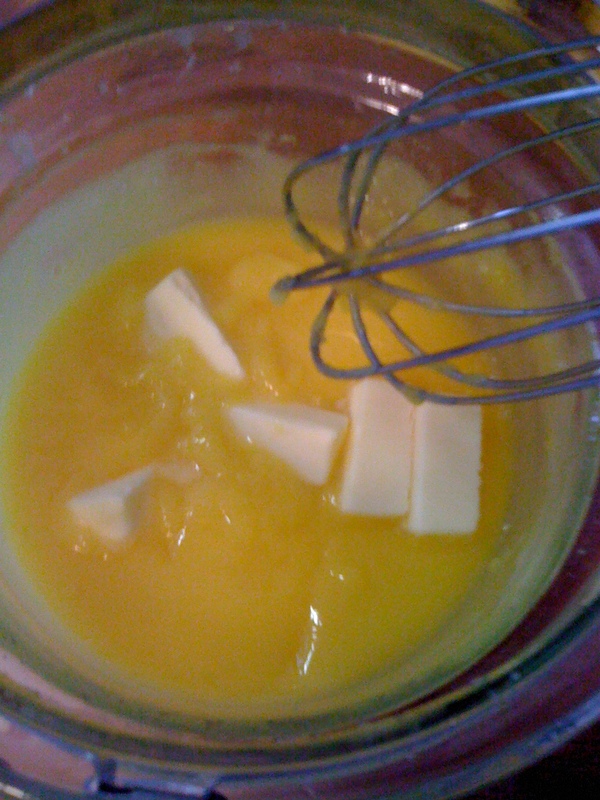 In a non reactive bowl ( I used glass) whisk the eggs, egg yolks, and sugar until combined Add the lemon zest and lemon juice to the egg mixture and whisk to combine. Place your bowl containing the egg mixture over a double boiler. 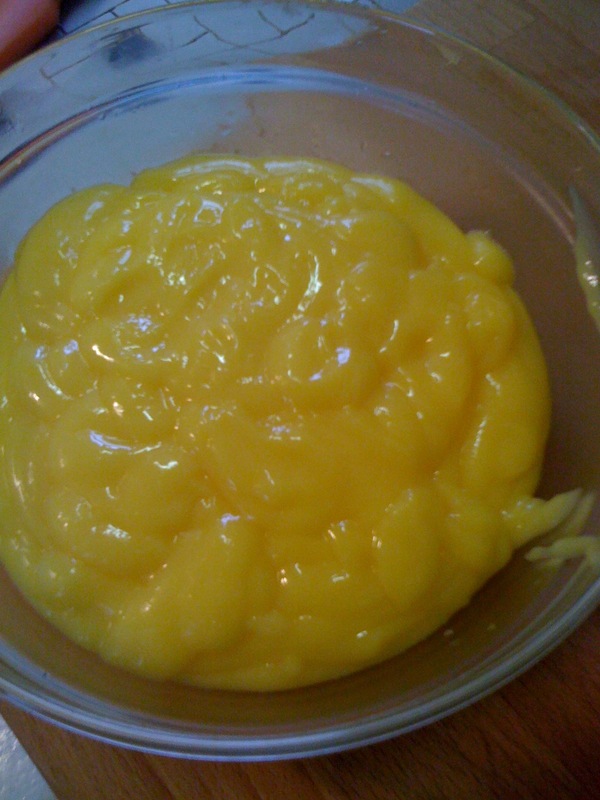 Continuously stir the mixture with a heatproof spatula until the mixture has thickened to a pudding like consistency. 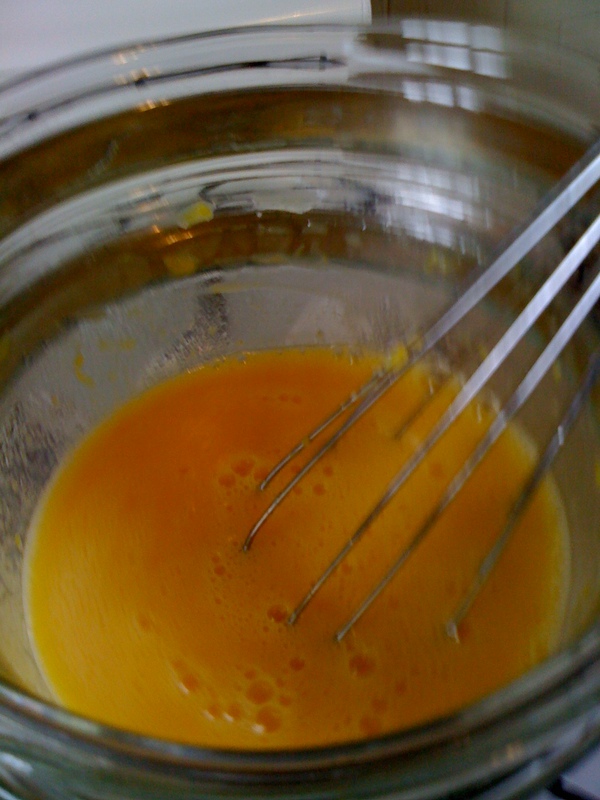 Remove the bowl from the heat and whisk in butter until emulsified. Strain the mixture through a fine mesh sieve . Fill cupckaes, spread on scones, pound cake with fresh fruit, or even a little bit on morning toast.